SugarSmile: Craving for Korean Food? Enjoy Bonchon with PayMaya QR! Craving for Korean Food? Enjoy Bonchon with PayMaya QR! Annyeong Haseyo! For someone so addicted about anything Korean, going to Bonchon is made easier as PayMaya collaborates to give K-food lovers a more convenient way of ordering their favorite Bonchon meals. Customers can now enjoy a K-style feast in an instant as PayMaya QR is now available in Bonchon! By scanning the QR code displayed at selected Bonchon branches, customers can easily settle their payment and savor the goodness of Korean boxed meals and bibimbowls. “Having PayMaya QR in Bonchon is an added ingredient to make our customer’s food adventure more addictive. Our customers can now experience cashless convenience while digging into their K-style feast,” said Scott Tan, Managing Director at Bonchon Philippines. Since 2002, Bonchon has been refining the cooking technique for a crispy yet tender fried chicken. Aside from that, the South Korean-based international fried chicken company has been producing flavorful sauces-namely soy garlic and spicy-that are being shipped worldwide. 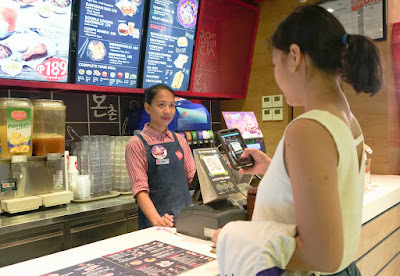 “We’re glad to bring the convenience of cashless payments to the customers of Bonchon. 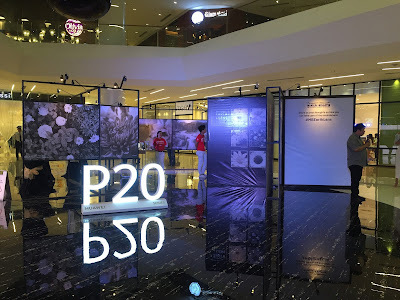 With the help of PayMaya QR, customers can rely on their smartphone as their wallet and satisfy their Korean cravings instantly,” said Paolo Azzola, COO and Managing Director at PayMaya Philippines. Starting a PayMaya account can be done in a few steps! Just download the app on the Apple App Store or the Google Play Store and sign up for an account using a mobile number from any Philippine network. Adding money to your account can be transacted through the more than 20,000 Add Money touchpoints nationwide, including Smart Padala centers, SM Business Centers, Robinsons Business Centers inside Robinsons Department Stores, 7-Eleven Outlets, Touchpay Kiosks, UnionBank ATMs, Shopwise, Wellcome, 2Go, ExpressPay, Cebuana Lhuillier, Palawan Pawnshop branches, Smart Padala centers, BDO, UnionBank Online, RCBC Online Banking, and financial institutions that are part of InstaPay, among many others. To stay updated about PayMaya’s services and promos and to know which Bonchon branches you can avail of the promo, visit stories.paymaya.com or follow @PayMayaOfficial on Facebook, Twitter, and Instagram.